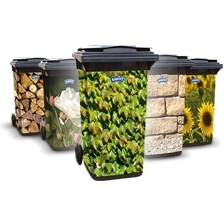 Even if the waste is heavy - a thought-out bin liner can easily deal with it. Just like the reliable Swirl® Tear Resistant & Leakproof bin liners. Thanks to the reinforced material they are very tear resistant and leakproof. Available with tie handle and drawstring, there is something for everyone.